Good oral hygiene starts with your toothbrush. And with the incredible selection of toothbrushes available both at the store and in our office, it’s no wonder one of the most common questions we get from patients is whether manual or electric toothbrushes are better. Each one has its pros and cons. Really, the most important thing is that you’re brushing your teeth twice a day, flossing once a day, and getting into Dr. Quartano for regular cleanings. The toothbrush you choose will work as long as it’s used. And the important thing is you choose a toothbrush that works for your needs. The manual toothbrush is the tried and true option for most Americans. These have varying brush stiffness. We recommend soft bristles for most everyone. If you think you need a stiffer bristle talk to the dentist to be sure. These brushes are super affordable and come in a variety of style and head shapes. They also don’t require batteries or charging and can easily be thrown in an overnight bag, taken to a hotel, and even forgotten and replace. 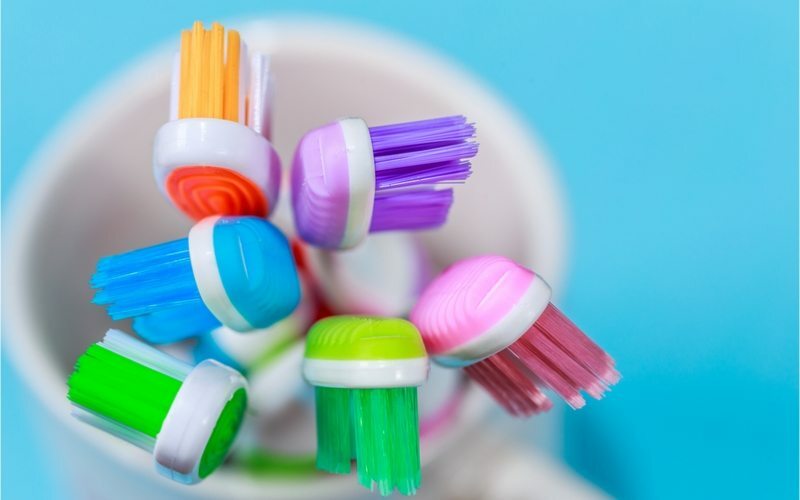 Manual toothbrushes do not clean as well as an electric toothbrush and don’t have all the fancy bells and whistles of electric models (like timers), but they can be effective as long as they’re used as part of a complete oral hygiene routine. When it comes to choosing a toothbrush, there’s an important thing to remember. Regardless of what you choose to brush your teeth, it is crucial they get brushed twice a day. Made to function using a wide variety of technologies, the electric toothbrush is an incredibly effective cleaning tool. Toothbrushes with round heads are known as oscillating toothbrushes and deliver up to 7,000 strokes per minute. Sonic technology toothbrushes look like a manual toothbrush but vibrate at a rate of over 10,000 strokes per minute. Both models are supereffective. Electric toothbrushes have been proven to be incredibly effective at motivating children to brush and are particularly helpful to people who might have mobility issues or dexterity problems in their hands and arms (for example, someone with arthritis). While these toothbrushes are the most effective method of removing plaque and build up, they aren’t always easy to travel with because they require charging and/or batteries. They also tend to be more expensive than manual toothbrushes, which can make it frustrating if you ever drop and damage them. Electric toothbrushes are a great option for those looking for a squeaky-clean smile, however, you’re guaranteed a great smile and healthy mouth if you brush regularly (regardless of the toothbrush you choose), floss daily, and make it a priority to get cleanings twice a year.